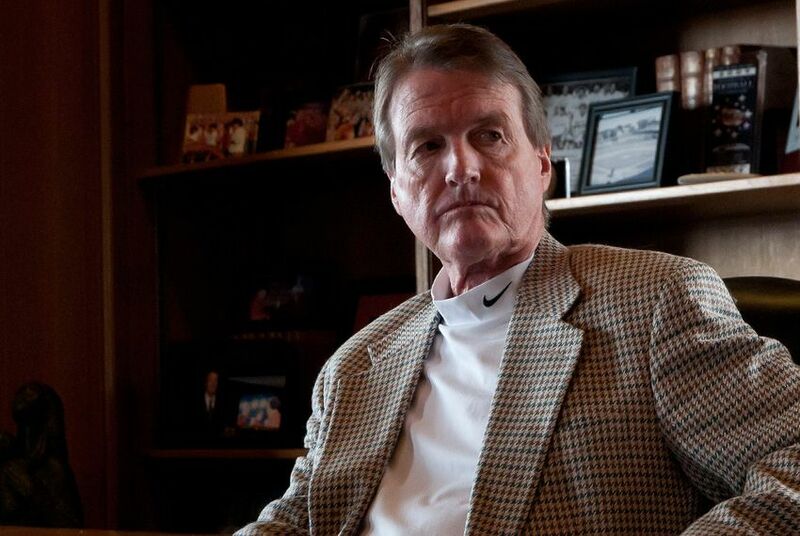 The University of Texas System Board of Regents plans to discuss the employment of University of Texas at Austin President Bill Powers during a closed-door executive session at its board meeting on Thursday. Powers' job at the flagship university, which he has held for nearly eight years, has been believed by some to be in jeopardy since the appointment of new board members in 2011. Multiple board meetings have been preceded by rumors of his impending ousting, but the speculation has consistently proven incorrect. This marks the first time discussion of his employment has appeared on the regents' agenda, which calls for "discussion and appropriate action related to recommendation by Executive Vice Chancellor for Academic Affairs and Chancellor concerning employment of William C. Powers, Jr., as President of The University of Texas at Austin." Multiple wrinkles in the ongoing saga of the board's battle with the UT-Austin administration make this a potentially fraught time for consideration of an ouster. Powers' national prominence is on the rise. In October, he assumed the chairmanship of the Association of American Universities, the country's most elite consortium of research universities. He also has the support of a number of prominent lawmakers, a number of whom have accused the UT regents — and in particular Wallace Hall, who was appointed in 2011 — of being on a "witch hunt" to get Powers. A legislative committee is currently in the process of investigating Hall, and may file articles of impeachment against him. He has been accused of, among other things, overstepping his authority in his demands for information from UT-Austin and possibly mishandling private student information. Hall has claimed he has merely been doing his duty in uncovering questionable practices, such as favoritism in the admissions process, at the system's flagship university. The co-chairs of the House Select Committee on Transparency in State Agency Operations have repeatedly instructed the board not to take any employment action related to those involved in their investigation, including Powers. The president is expected to testify before the committee at a hearing next week, as is UT System Chancellor Francisco Cigarroa. There has been discussion of hearing testimony from Hall, but through his lawyers, the regent has insisted on being subpoenaed — and so far no subpoena has been issued for him.